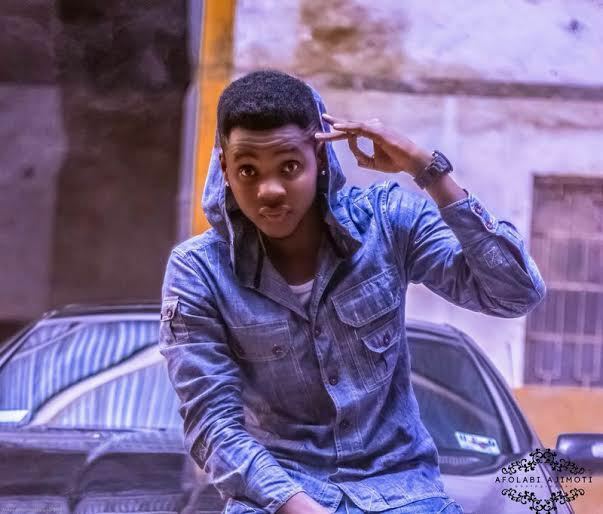 The tussle between Singer Kiss Daniel and his former record label, G-Worldwide is getting out of hand and Kiss Daniel‘s lawyers, L & A Legal Consultants, have released a statement saying their client did not walk out of his contract with his former record label G-Worldwide Entertainment Ltd. In the statement released by Kiss Daniel’s lawyers, they said he only terminated the contract as he was permitted to do under the contract. The contract was drafted by G-Worldwide, the lawyers wrote, and they inserted a termination clause in the contract, which Kiss Daniel activated. See the statement released by Kiss Daniel's lawyer..
1. Kiss Daniel did not walk out of his contract. He only terminated it as he is permitted to do under the contract. Is it now a sin for a party to exercise a right expressly conferred on him by law/contract? Is it the fault of Kiss Daniel that the contract has a termination clause that allows Kiss Daniel to terminate the contract? We should bear in mind that the contract was drafted by G-Worldwide Entertainment. Kiss Daniel scrupulously followed the provision of the contract. It is unfortunate that people are mixing this case up with that of other artists running away from a contract they signed. No! This is different. This is a case of an Artist insisting that the contract signed by the parties must be obeyed and enforced. Kiss Daniel is firm believer in rule of law and due process. This was why it was Kiss Daniel that went to court first. People should not confuse a case of properly terminated contract with cases of ill-advised artists who angrily walked out of their contract without following the laid down procedure under their contracts. Kiss Daniel’s case is a well thought out act. It is an exercise of right granted to him by the contract between him and his label. What do people want from Nigerian artist? If they don’t employ lawyers, people criticize them. Now that Kiss Daniel has employed one of the best I.P. law firm in Nigeria with a Professor of I.P. and a Senior Advocate of Nigeria (SAN), people are still calling him names for acting in accordance with his contract! When Artist don’t obey or assert their rights under their contracts, people abused them, yet the same people are abusing Kiss Daniel for obeying and enforcing the Termination Clause provided in his contract! Na wa o. This is not a Kiss Daniel’s fight alone. This is a fight for all Nigerian artists except we are saying only artists must obey and comply with contract but record label are free to do as they wish? 2. Finance: Why is G-Worldwide afraid to grant Kiss Daniel unrestricted access to his account and books as provided by the contract? The whole relationship between a record label and an artist is about making money and sharing it. Finance and money is the crux of the matter. G-Worldwide did not sign Kiss Daniel because they love his face. They signed him because they think he can make money for them. And there is nothing wrong with that as long as they play by the rules. The only offence commented by Kiss Daniel was his effrontery/impudence by daring to ask his record label to render account! Kiss Daniel through his lawyer L & A – Legal Consultant appointed a firm of Chartered Accountant to inspect and audit G- Worldwide Entertainments books and account in respect of Kiss Daniel’s project as provided by the contract between the parties. “Company shall maintain proper accounting books and or records at its principal office, in relation to revenue generated, or expenditure expended in the course of the performance of this Agreement. Such books and or records shall include, but shall not be limited to, any documents or records which evidence the receipt and or disbursements of royalties and other monies generated in the course of the performance of the Agreement. Is G-worldwide Entertainment Limited a proper record label? Is it a proper limited liability company? Or is it merely a one man show without corporate structure, office and supporting staff? Can anybody name the A & R officer of G-worldwide Entertainment Limited? “While the company is happy to assist your client’s accountants with their audit request, unfortunately due to ongoing activities involving the relevant company’s personnel, the time proposed by you will not be convenient for the company (whose assistance you require to carry out the audit). Again, G-worldwide Entertainments Limited failed/refused to confirm the dates for the inspection or the venue as requested and after several reminders they only on the 28th of August 2017, which is one of the dates fixed for the inspection and agreed to the 29th of August 2017 for the said inspection/audit. Thereby giving Kiss Daniel and his team less than 24 hours’ notice and which means the audit can only be done in one day instead of two dates proposed. Of course, any experience person knows that such audit can hardly be completed in one day. It was all a grand design to frustrate the audit. Unfortunately, when the inspection/audit finally held, Kiss Daniel’s Accountant was denied unrestricted access to the “books/records” in clear breach of the unambiguous provisions of clause 7 of the Contract (as posted above). Kiss Daniel’s Accountant were surprised that Label did not come to the venue of the inspection/audit with any physical books, receipts, invoices e.t.c. but only brought a mere laptop! And even refused to allow Kiss Daniel’s Accountant to make a copy of the said “books/records” contrary to the contract. It was also discovered that the representative sent by G-worldwide Entertainment Limited and who brought the laptop is not an accountant and did not know anything about the transactions recorded in the laptop. He could not answer any of the questions/queries posted to him by Kiss Daniel’s Accountant. Unfortunately, when Kiss Daniel’s lawyer gave G-worldwide Entertainments Limited notice of the breach on 11th and 19th of September 2017, G-worldwide Entertainments Limited failed and refused to cure and remedy the breach within the 14 days allowed by the contract and Kiss Daniel was forced to comply with the contract by terminating it as required by the contract. This termination therefore was not only in obedience to law and the contract between the parties but was also a self defence by Kiss Daniel to prevent “baboon dey work, monkey dey chop”. Why is G-worldwide Entertainments Limited afraid of rendering accounts? Should Kiss Daniel continue to work under G-worldwide Entertainments Limited and receive whatever was giving to him without allowing his accountant to audit the books? Is it an offence for an artist to enforce the rights granted him by the contract drafted by the Record label? 3. Contract or Slavery? This is the same label that forced Kiss Daniel to perform few days after his father’s death and while still in the village trying to give his father a befitting burial. They put money first. They insisted he must interrupt his father burial rites and must perform or they will crush him in the industry. This is the same Label that was paying Kiss Daniel only 30k and later 50k per month for about two years despite Kiss Daniel’s performing at several shows and making millions of naira for the label within the same period! Yet, Kiss Daniel never create any noise or scandal. How many Nigerian Artist can tolerate for so long what Kiss Daniel has endured without creating any scandal? 4. Is G-Worldwide A Record Label? What is the main characteristic of a record label? One of the main duty of a record label is to advance money to the artist for purposes of recording. Yet the so called record label does not pay advance and as never pay advance to Kiss Daniel. The so called record label did not pay a penny (kobo) towards the recording of all songs in the alleged album, “Evolution”! The songs in the alleged album include already released hits like “sofa”, “Yeba” and several others. No payment of advance, no payment for studio sessions or productions generally and yet G-Worldwide are shamelessly laying claim to songs produced singlehandedly by the Artist. He is indeed a patient dog.